Blue Ocean Resort Phuket is located in Rat-U-Thit Road, only a five minute walk to Patong beach on the west coast of Phuket. 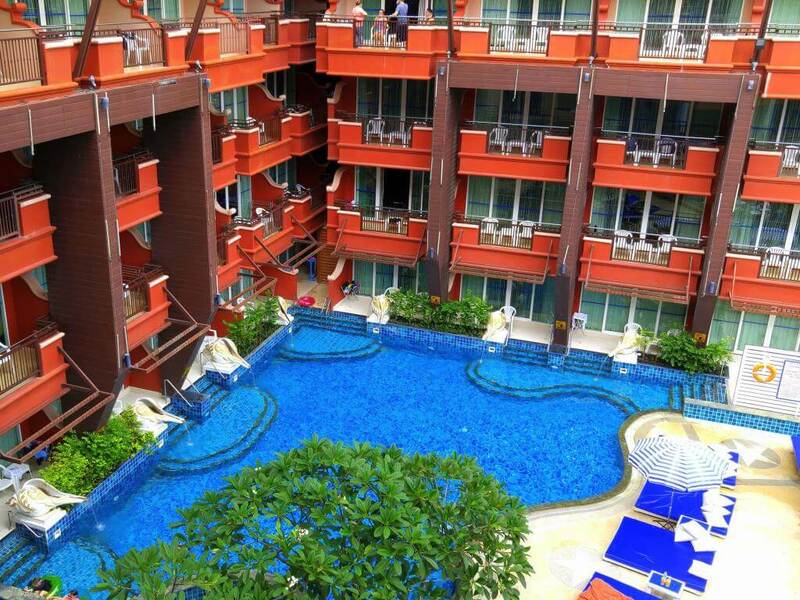 The Blue Ocean Resort is situated beside the Patong River, close to the OTOP markets, shops, restaurants and within walking distance to the nightlife of Bangla Road. The Blue Ocean Resort features a range of room types, priced to suit all budgets. All rooms at the Blue Ocean Resort have views overlooking the pool area or the mountains surrounding Patong. The Blue Ocean Resort is fantastic and the room rates are very reasonably priced. All rooms at the Blue Ocean Resort are fitted with air conditioning, and contain either a king size bed or twin beds and a lounge. A writing desk with a multi media console which has a high speed internet connection plug, an I Pod or I Phone connection, laptop to TV connection, and a universal electric plug. There is also a mini bar, tea and coffee making facilities, complimentary bottled water, telephone, in room safes, scales and remote lighting. The bathrooms are spacious and are fitted with a pressure shower, a rain shower, hairdryer and a telephone. Deluxe rooms are spacious and stylish with a modern design, with a good sized balcony that overlooks the pool or mountain views. Grand Deluxe rooms are spacious and stylish with partial views overlooking the pool from the large balcony. Pool Access rooms are ideal for guests wanting direct access to the swimming pool from their room. There are suites available at the Blue Ocean Resort Phuket that are perfect for romantic getaways or honeymoon vacations in Phuket. Blue Ocean Suites have a separate living room with sofa, mini bar and a flat screen TV, a multi media console and a second bathroom. The private bedroom is also fitted with another flat screen TV and a multi media console and has a large en-suite with a bathtub and rain shower, each bathroom is fitted with a telephone. The Suite has 2 balconies, with both pool and mountain views. Listed below is some of the facilities and services available at the Blue Ocean Resort. The Blue Ocean Resort Phuket is a great resort for family vacations and the room rates offer great value for money. Note: DVD players are available for rent at reception and Interconnecting rooms are available on request. There is a range of wonderful restaurants, close by the resort as well as pharmacies and a Seven Eleven. Read what fellow travellers have to say about their experience at the Blue Ocean Resort on Tripadvisor.